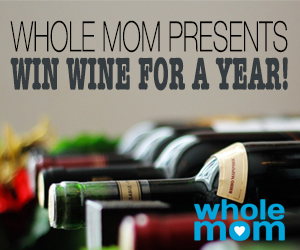 Whole Mom wants you to enter once for your chance to win enough wine for a WHOLE YEAR! Enter to win 12 bottles of wine, worth $240! This Sweepstakes ends on 09/09/16 and you can ENTER ONCE to win.